If you take a look around your living room, chances are you're surrounded with pieces of furniture made in whole or in part from plants. Dried, treated plant materials are used in a variety of manufactured goods, with furniture being no exception. Though you're probably aware of the common uses of plants as home furnishings, some of the more unusual plants and applications in this area may come as an interesting surprise. Wood from trunks of both hardwood, deciduous trees and soft, evergreen trees is used to create all manners of wooden furniture. Traditional plank furniture, made from boards cut from the tree trunks, is the most common and well-known, forming standard bookcases, desks, shelves, chairs and tables. Furniture that keeps the natural shape of the trunk or root system is a bit less common, but more distinctive as a conversation piece. Bamboo furniture is usually formed from rods of bamboo shaped into a framework, then fitted with cloth and cushions. There are many variations on bamboo furniture styles, however, including furniture made from rows of lashed-together bamboo rods in varying sizes, halved rods or planks made from processed strips of bamboo. 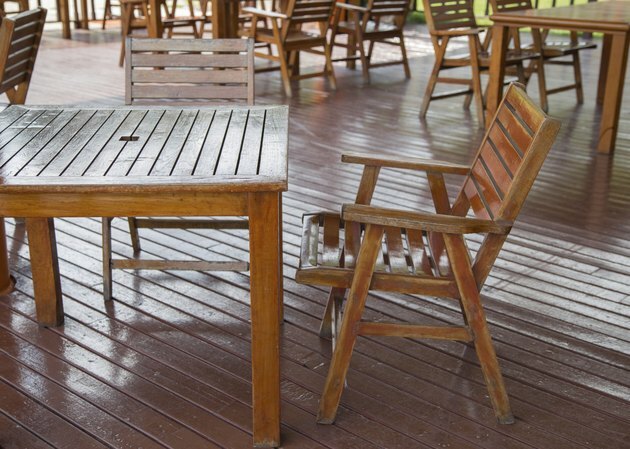 These last have the appearance of traditional wood planks and are used in furniture designs in much the same way. Hemp fibers are most commonly known for their uses in making rope and cord, items that are a part of many woven furniture designs. 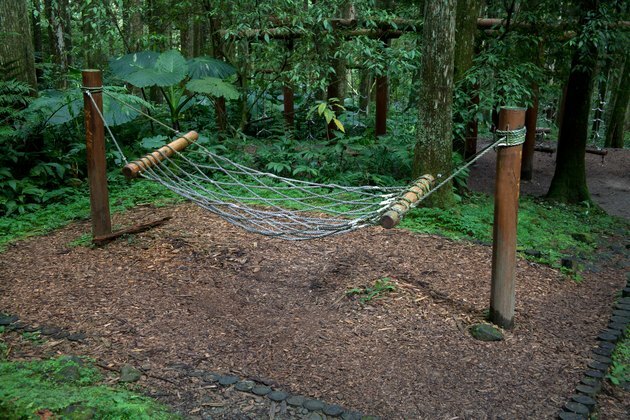 Look for hemp as the primary component of many hammocks and in weaves used for summery furniture designs, stretched over wooden frames. 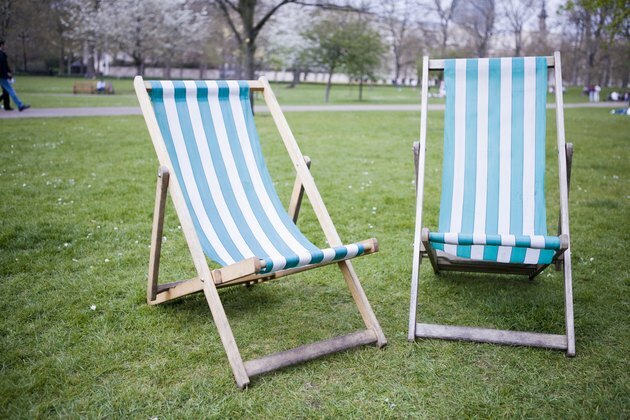 A more innovative use of hemp in furniture is as a type of wicker framework, where thick strands of woven hemp cord are treated with a liquid solution to stiffen them into sturdy sofas and chairs. The cotton plant is used to create cloth used in almost every area of clothing and textile manufacturing, including the cloth portions of many pieces of furniture. The soft texture of cotton fibers makes it an ideal choice for a variety of comfortable furniture covers and cushion casings that feel gentle against the skin and don't trap heat. Combining cotton fibers with synthetic fibers can make these furniture designs more durable, as well. Lightweight wicker furniture, generally used to spice up areas like porches and sunrooms, is made from a variety of different plants. 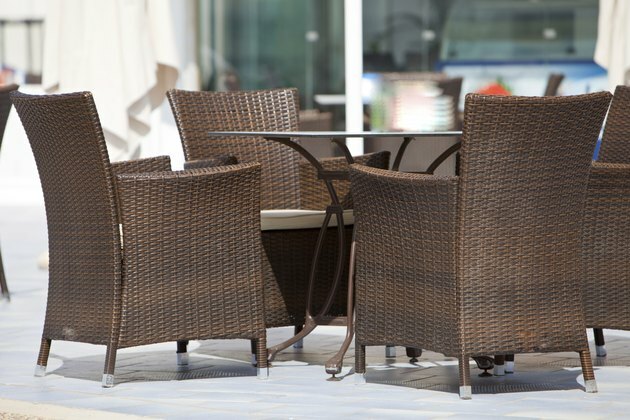 The most common plants used to make wicker are woody but thin and flexible, such as cane, rattan, bamboo and reeds. Some wicker designs are made from thick, dried grapevine. 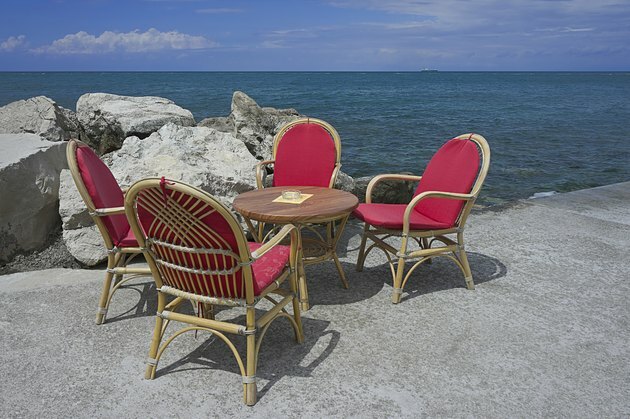 Wicker furniture has a basket-like look, lightweight yet strong and bearing the shapes of the natural plant fibers. 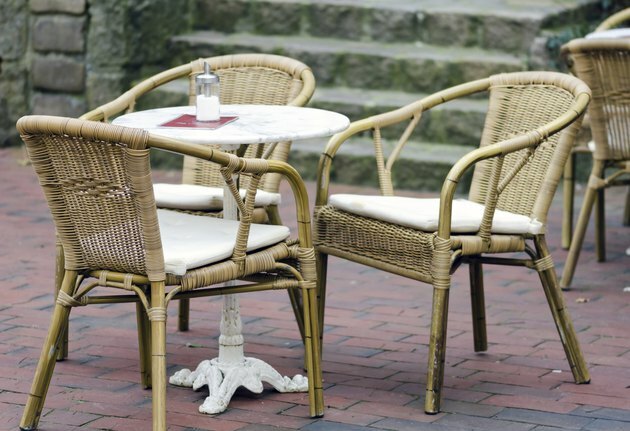 What Is the Difference Between Rattan & Wicker?